Newport County boss Michael Flynn is relishing welcoming Pep Guardiola in the FA Cup fifth round, heralding him as the "creme de la creme" of managers. Newport set up an FA Cup tie against City by upsetting Middlesbrough 2-0 in their fourth-round replay. 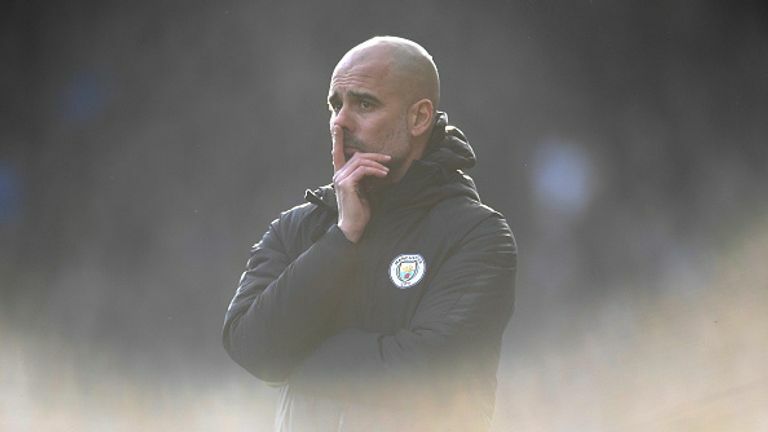 Guardiola's side will provide far sterner opponents on February 16, but even the Premier League champions will not welcome the tight confines of this ground and the fervent atmosphere that comes with it. Flynn, who has overseen cup victories over Leicester, Leeds and now Boro during his tenure, cannot wait to pit his wits against his idol. "We have had Mauricio Pochettino, Claude Puel, Thomas Christiansen, they are all fantastic managers but this is the crème de la crème," Flynn said. "He [Pep] is a master, somebody that I just idolise and probably the best in the business, along with Jurgen Klopp, because I am a Liverpool fan. "I've been very nervous about this, not because of the game because I knew what it meant for the whole football club, the whole city. These supporters deserve everything because these supporters have been through the mill. It's a club that I love. What this means to this football club is absolutely huge." Robbie Willmott and Padraig Amond were the heroes as Sky Bet League Two side County - the lowest-ranked side in the last 16 - bridged a gap of 57 places between them and Championship side Middlesbrough on the league ladder. Flynn is also looking forward to renewing acquaintances with City assistant boss Mikel Arteta, whom he undertook his coaching badges with. He added: "Mikel has just messaged me good luck and said: 'See you soon.' Knowing how good Pep is, I'm sure they will cope with that pitch. "That's something for them to worry about. I know we try and play football in the right way. We passed the ball a lot in tough conditions and they will do the same. "I should have gone to a kids' party on Sunday but I decided to watch Manchester City and Arsenal. But I wish I hadn't because they were absolutely breathtaking. We are going to have to be prepared - I might play nine at the back."